Aqua Platinum Projects are delighted to be continuing their evergrowing relationship with top drawer property developers, The Berkeley Group. 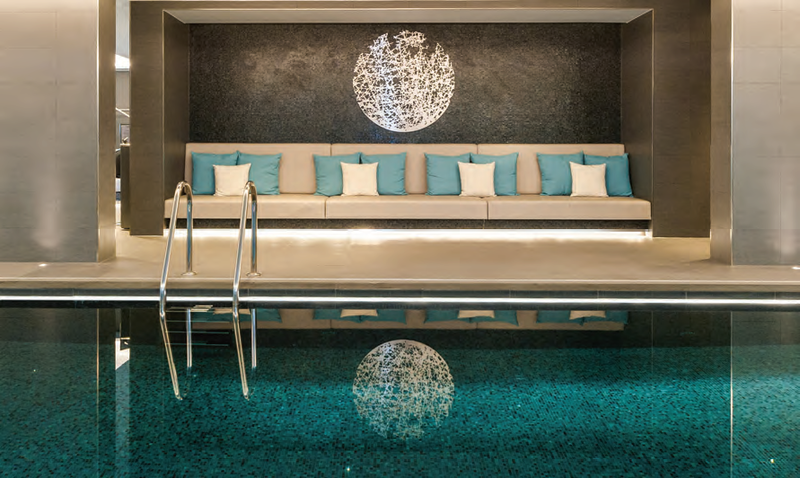 The design and build of a stunning lap swimming pool and infinity edge vitality pool, within a sumptuous new property development, by Albert Embankment, shared the title of Commercial Pool Of The Year in the recent UK Pool & Spa Awards. Boasting three bedroomed apartments selling at around £3m a piece, the Corniche development stretches a mile along the river Thames in the centre of London. 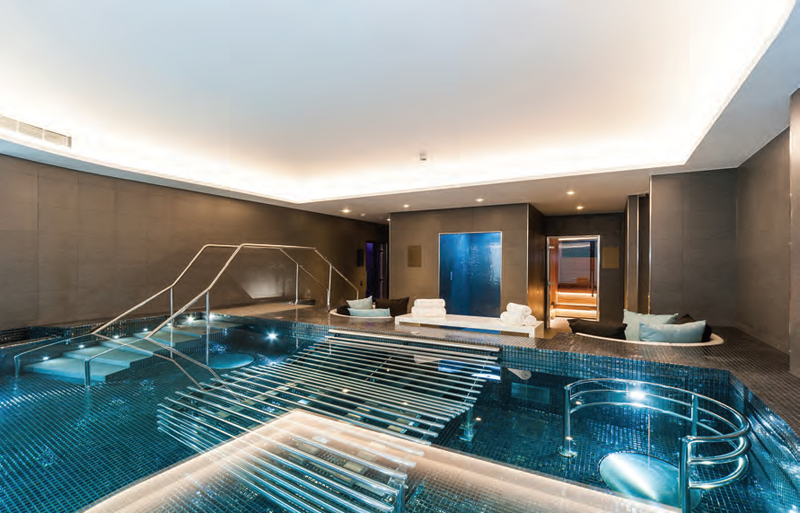 Its leisure facilities boasts an infinity edge vitality pool including a large three-person fully bespoke stainless steel ‘reclined’ bench with touch button-controlled air blowers for light massage function and two bespoke stainless-steel walk-in stations. The main pool is 15m and includes stainless steel fittings and LED lighting creating a halo effect around the pool. Custom fitted filtration systems ensures the water to stay clean and hygienic. and state of the art dosing ensure the finest finish to this project. The stunning stainless-steel features and quality mosaic tile finishing in a subtle charcoal grey, add contemporary style and elegance.